I don't know how to react, @immorethant to your epic 5 whole pages' worth on your 'two' posts. I need time to digest before I can react. Top of new page already??? Woo-Jin asked SHS to leave his house. SHS was so angry and get her revenge before leaving. And regret later that she shouldn't do that. Now she couldn't go back. Being a homeless, without ID and education, she only found temporary, low-paid job. Until she met this guy, who was her friend and had a crush on her since being students. So he asked her to work at his company. There she discovered her work of love again. Now she got a new name as 'Shin Hye Sun, Mama Woodcutter'. What a mad, manic genius this thread has unleashed - I posit that @immorethant was in her mad-cow-mode for hours and hours (days?) creating that 23-chapter masterpiece mother of all posts that shall stand the test of time here. ❤️ ❤️ ❤️ ❤️ ❤️ ❤️ ❤️ ❤️ ❤️ ❤️ ❤️ ❤️ ❤️ ❤️ ❤️ ❤️ ❤️ ❤️ ❤️ ❤️ ❤️ ❤️ ❤️ ❤️ ❤️ ❤️ ❤️ ❤️ ❤️ ❤️ ❤️ ❤️ ❤️ ❤️ ❤️ ❤️ ❤️ ❤️ ❤️ ❤️'s !!! Here's one from 2015, OMyGhostess (which is also on netflix), which I doubt many have seen. The host asks, "your legs are alright, aren't they?" (joke at the time was that many thought she might actually be wheelchair bound inRL). She laughs, and the host after complimenting her and the show, saying how the audience responds so enthusiastically as you can see from this session, then asks, "what do you think is the reason for that?" 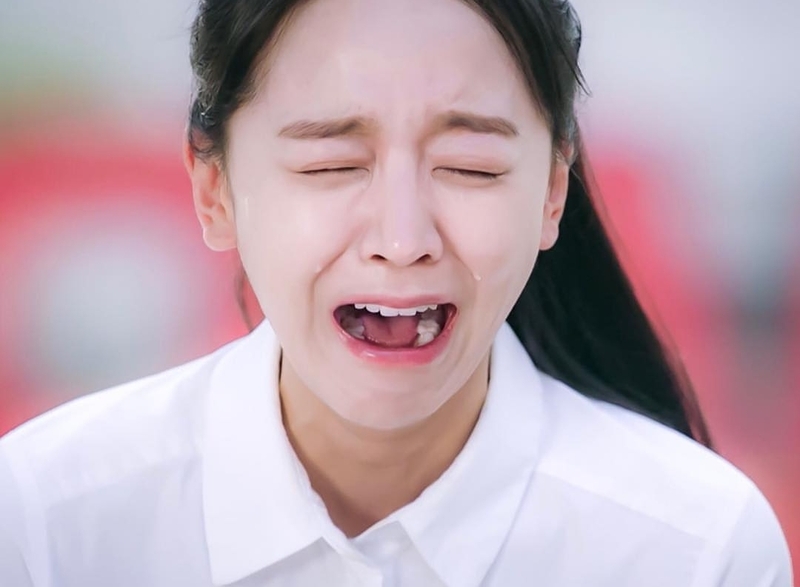 Shin Hye-Sun simply says, "As you can see from today's eposode also, there was laughing scene, crying and variety of different scenes packed into each episode, that it doesn't get boring...."
One more standing ovations from me for @immorethant the manic genius in cow mode. Thank you @meechuttso for translation of this clip. At first when I watched the clip, because I couldn't translate so I kept wondering why she clapped her legs. Now I got the answer . She's so cute and I loves her shirt. Remember '100 years remembrance' documentary ? The 1st episode aired on Sat Jan 5 was hosted by Kim Yeon-Ah. and there's also full length 11 minutes version too ( https://www.youtube.com/watch?v=qI8-3NMQGPs ) . Too bad there's no Eng sub I'm interested to learn the history too. As I checked airing schedule, this program will be aired every Saturday. So the 2nd episode will be aired this Saturday (tomorrow) 20.50 KST , please stay tuned. Hopefully this episode we will see our SHS and also can have full 11 min version later too. Have a happy Friday everyone ! Thank you @immorethant, the ever vigilant. 0:49 - They are not nameless 'jane doe's. It starts, "A young stranger who appears in a village in the Choong-Chung province" - Very moving stuff. 8:02 - (old man) Down to age 11 y.o. kids went up and shouted '만세' (Man-Se', long live) (Korea). I sincerely hope Shin Hye-Sun will show us another heroine, and that eventually she'll go on to portray one of these nameless heroines in a drama, too. On a lighter note, let's play a game. @immorethant left a pic at the bottom of her post - it's 'name that pic' game. I of course will guess it - a cut from Chevy Cruze commercial, 2016/17. And I will post another pic, which, one of you has to guess the source of, OK?? You truants in the back row - yes YOU! Answer first! @immorethant and other front row students, please allow the less attentive children a chance to answer first. I think you all may have seen this already, but I just found it and I am shocked !! Just her eyes can kill without using that fork. So don't mess with this girl, especially when she's eating. ??? Where did this come from? Hi @kokkuri33 , it's from this short film 'Lying is Truth' . Trying to search for info, but there's nothing much. Found little trace in this Choi Daniel's soompi thread page 40 said that the video was posted in 2017 but the film audition was made in 2013. So I think it should be filmed around 2013-2014 , SHS short hair style is quite similar to 'Curious' MV in 2013 and 'Return Match' in 2014. SHS 2013 looked the same age as SHS 2019, probably she used BoH cream since then. Can I answer @meechuttso's quiz in hidden post (and in hidden ink) ? I think that was from 'Oh My Ghost'. She's in a wheelchair, chewing and look up to her husband. 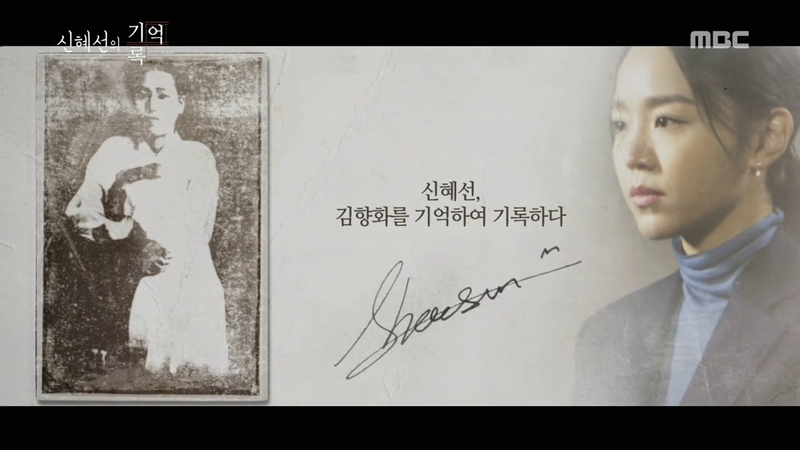 기억록 EP 2 - by Shin Hye Sun. So beautiful (but the story in documentary is very sad). P.S. I think there're many people have watched or tried to access live stream to watch this episode. Because the imbc streaming website was slow and unable to access at that time during 20.45-21.00 (I can't either ) . After this program ended, the web can be accessed as normal. Another point is that the ep 1 video we was uploaded to Youtube 1 day after live broadcast. But this 2nd ep of SHS was uploaded only 1 hour after !! thank you so much MBC who knows what audiences want. Yes, an honor for SHS to be chosen as the first actor to do this. Many netizen comments say that the reason Kim YuNa was chosen to lead off is because at the end of the day, there was no better celebrity than the one who in 2010 Vancouver vanquished her rivals and made Koreans particularly proud like never before (see silver medalist). That she has never been a mere 'athlete' for the Koreans. I think Shin Hye-Sun's recent work in Hymn of Death probably helped, as well as her 'diction'. By the way the reason I didn't post the 'lying is truth' video here is becoz there is a questionable not so good scene that makes it look as though SHS was in it when she's not. I never liked it - it was shot kind of as a screen test for her and others, it seems. Full translation which may seem an overkill, but hey! it's Oori-baby Shin Hye-Sun talking - as the rule says, SHS talks, @meechuttso translates, at least when @meechuttso finds it convenient to say so. (Her spoken words in BOLD). "what am I thinking about as I go about living life?" ... such stuff (this occasion) caused me me dwell upon. Me, I have the heart (courage) the size of a pea, you see. If I'd been around at that time ... could I have ... thought of such things? March 1919, at a certain place in SuWon city, a gang of GiSaeng*** appear. 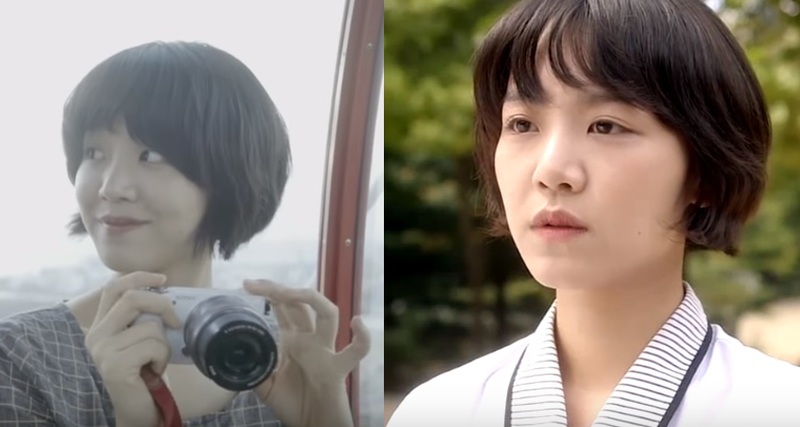 See "Love, Lies" Korean movie from 2018 for comparison. Age old debate. Where did their steps stop? None other than at the Police Station. This is a kind of gisang brochure that the Japanese made. "Slender face and shapely form, nice personality and cute." Nice personality and cute - she was SuWon city's top Gisaeng at the time. To her, a piece of news that came one day. "Sister, look at this, what to do?" ... "Jin-Joo city?" At the front of the GiSanges' Man-Se' procession was a band. So they banged on drums and blew horns.. In a sense, very cheerful (festive)? Perhaps a kind of procession which only they could have done?, made me wonder. Even in the face of Japanese prejudice, they proudly walked the path of leaders. "To (us) Japanese they were icy, didn't laugh or talk with us. Felt like ghosts drinking in the underworld (hell)." If you put yourself in their shoes, it really feels that way (laughs). To actually carry it out into action, truly requires much courage, doesn't it? Whether it's big or small action. What kind of ... thoughts they lived with (or lived for). ...made me so curious, it occurred to me all of a sudden. "We are different from Japanese geishas. I am one who knows how to love my country. I am one such woman, I mean." - HaeJu city GiSaengs' testimony before judge. "Joyful. In the 300 (miles**) over our land hibiscus flowers blooming again." Japanese government mobilizes all of SuWon police to subjugate all by force. Came out onto the streets and demanding release of the GiSaengs and continue the Man-Se' revolution. Yet, there is hardly a record left of their freedom movement work. her medal of merit is currently being kept in SuWon museum. The Indepedence movement hero you remember - what is his/her appearance? Shin Hye-Sun, Kim Hyang-Hwa - remembers and records. and @meechuttsotranscribes for SHS fans who want to learn. 내가 그시대때에 태어났었으면 ... 나도그런생각을... 가졌을까? 천구백십구녀 삼월 수원시내 한복판에 한무리의 기생들이 나타납니다. 그 발걸음이 멈춘곳은? 다름아닌 경찰서. 성격이 순하고 귀엽다던그녀는 당대의 수원최고의 기생이였읍니다. "언니, 이것좀 봐요. 어떻게해요?" ... "진주?" 기생들의 만세운동 행렬 맨앞에는 악대가있었데요. 일본인들에게는 냉랭하기가 얼음장 같고 웃지도, 이야기하지도 않는다. 막상그걸 실행에 옮기는거는 정말 큰 용기가 필요한 거잖아요? 어떤... 생각을가지고 사셨는지도 되게 궁금하다는 생각이 문뜩드네요. 우리는 일본기생과 다르다. 내나라를 사랑할 줄 아는 한 사람. 당신이 기억한 독립운동가의 모습은 - 어떤모습인가요? Thanks @immorethant for all the posts! As you already know, even the episode number of the drama (and part of its title) is shown on the upper left corner of the gif quiz - so feel free to answer already - we've given plenty of chance for everyone to participate. 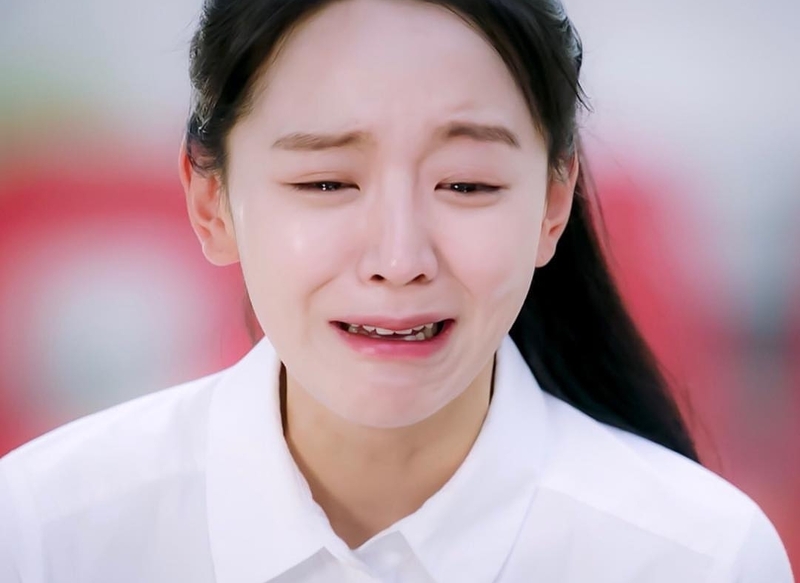 Oh, and this episode 2 of Remember, Record, is about Kim Hyang-Hwa. A bit more about her but all in Korean only and really not much known. Thank you @meechuttso for translations and Korean language lesson . I was tearful to see those women beaten by those cruel polices. Living in that era was like living in hell, you had to beat someone even you didn't want to, or you had to be the one who got beaten , or you mingt have to commit suicide to escape that. Made me think how lucky we are. At first I wonder how she was after that incident, and the word 'unknown' sounds ominous ? Then I read from your naver link and made me feel sadder about her fate.
" Although it is not told about the later activities of Kim Hyang-Hwa, who has been jailed, it is expected that she was killed by the aftermath of torture as a result of the situation at the time." Watching this documentary , HoD and Mr. Sunshine, I really want to visit this place some day. Anyway, have a happy Sunday everyone !! and hope all of us and SHS enjoy our freedom & peaceful life. Don't know why currently 'MGL' and Secret Forest' became topic mentioned again in news and social media . Probably lots of people missed her too, anyway it's good that we saw old SHS pics again. Han Go-Eun and Wheesung talked about their 'Intermittent fasting' diet method in TV show attracted attention. 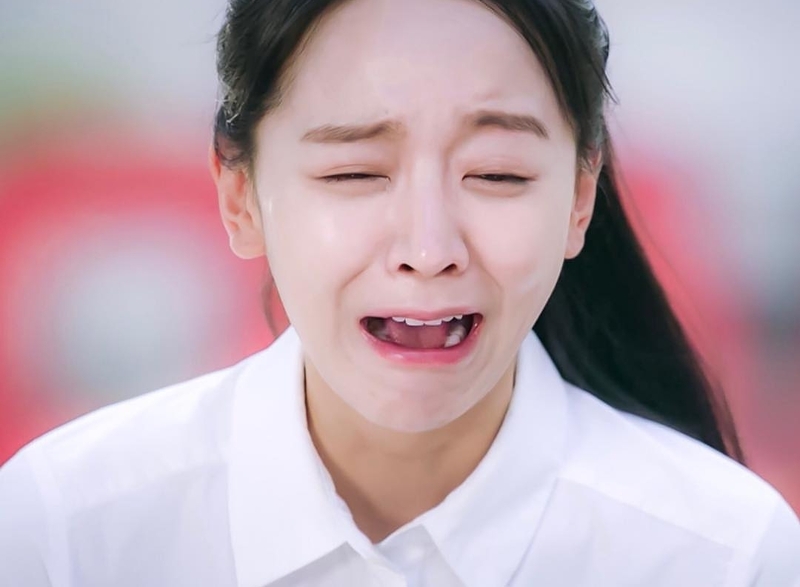 "The 'intermittent fasting', also known as Shin Hye Sun, Soyou, Hong Jin Young, and Cheongha's dietary secret, maintains the same fasting for more than 18 hours. However, there is a slight difference in the way the food or the method is consumed by each individual." "Already, many studies have shown the effectiveness of intermittent fasting, but there is a high risk of binge eating, so it is advised by experts to plan the diet properly." I just hope she will do this diet properly and stay sufficiently healthy and strong for her cow-mode. SHS probably faces a lot of weight-related pressures. Hopefully, she won't make any choices that adversely affect her in the short- or long-term. Just in case, I have added 5,000 words on food/nutrition to the SHS fan letter. Drama to be aired in May. Tough competition for SHS. but I will definitely watch live broadcast. This from her manager at the SBS Prism Tower in the back room I guess. She was bummed she couldn't be there to take pics in person. Please tell your BOSS SHS to update her IG!! Awww that was super duper cute!!! She's such a lovely brand endorser! "Trust And Watch Actress" Shin Hye-Sun - Each work image changes? | School 2013 ~ Hymn of Death | 2012 ~ 2018 | Filmography | by GamPD. Pretty good complete list - missing her Vietnamese dubbed one (4everyoung, where you can't hear her real voice at all). I'm looking forward to a real movie clip instead of her last 2 with 2 minutes of screen time each (although she got more miles out of that KDW kiss scene than some people might from 2 hours of movie role).